One of the seriously remarkable things about 2015 is this determined spider who builds a web every day between the gutter of my house and an entire section of chain link fence. Every day the wind blows away her web and every night she rebuilds it. This has been going on for 2 weeks now. I marvel at her determination and perseverance. I stand in awe of her ambitious conquest of this corner or my house. 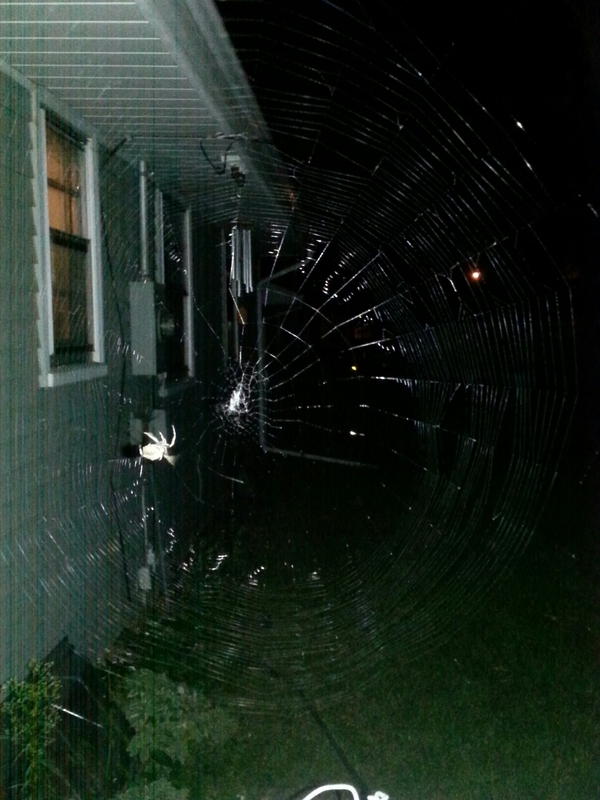 At first, I was frightened of her (she is HUGE), but now I’m secretly rooting for her to build the most resilient web ever. A web which can withstand the wind and the storms. Secretly, I want her to survive the winter using her web. I’m that impressed. This entry was posted in Journal and tagged 2015, Ambition, Perseverance, Spider, Web on August 5, 2015 by mcscarry.